Proper cleaning on the farm can make an important contribution to protecting livestock from African swine fever. By the use of safety vacuum cleaners the poisonous insect can be tackled in an environmentally friendly manner. We cover virtually every requirement across all sectors of industry. 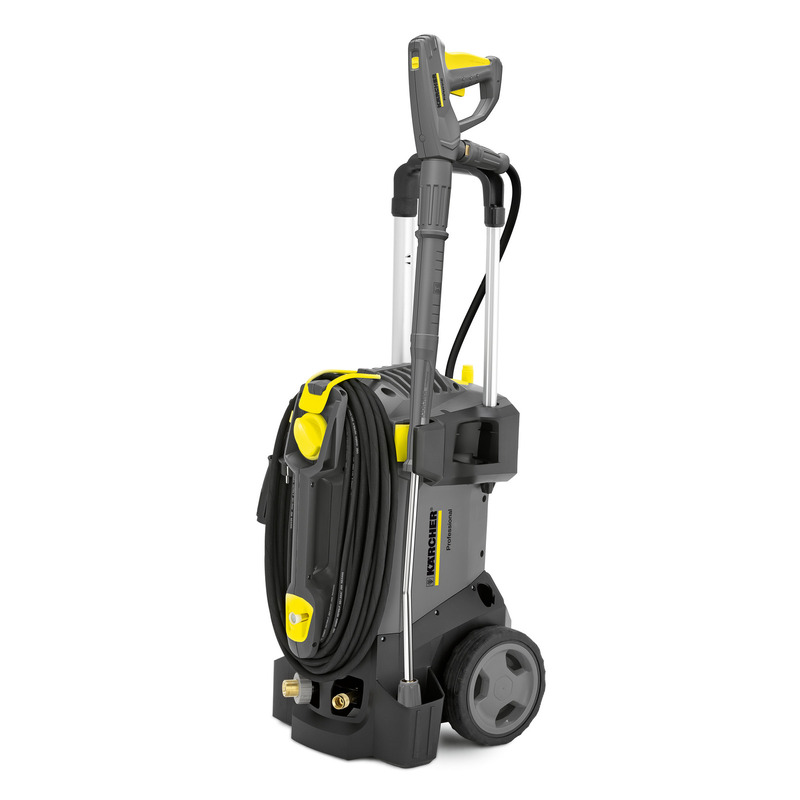 HD 5/15 C Plus 15209310 https://www.kaercher.com/int/professional/high-pressure-cleaners/cold-water-high-pressure-cleaners/compact-class/hd-5-15-c-plus-15209310.html Practical, mobile, versatile: the HD 5/15 C Plus cold water high-pressure cleaner for vertical and horizontal operation. With accessory storage, brass cylinder head and automatic pressure relief. Practical, mobile, versatile: the HD 5/15 C Plus cold water high-pressure cleaner for vertical and horizontal operation. With accessory storage, brass cylinder head and automatic pressure relief. 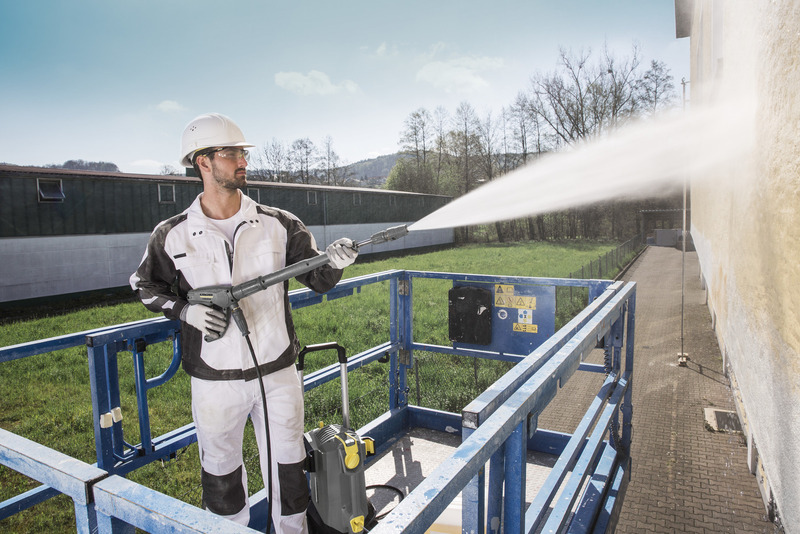 The compact, lightweight and versatile HD 5/15 C Plus cold water high-pressure cleaner offers outstanding mobility and is suitable for both vertical and horizontal operation. The machine is fitted with sophisticated accessory storage, and the brass cylinder head and automatic pressure relief ensure a long service life. At the same time, it impresses with innovative new developments that increase working convenience for the operator in the long term by ensuring effortless operation and time-saving set-up and dismantling. The EASY!Force high-pressure gun makes use of the recoil force of the high-pressure jet to reduce the holding force to zero, while the EASY!Lock quick-release fasteners make handling five times faster than with conventional screw connections, without compromising when it comes to robustness and longevity. 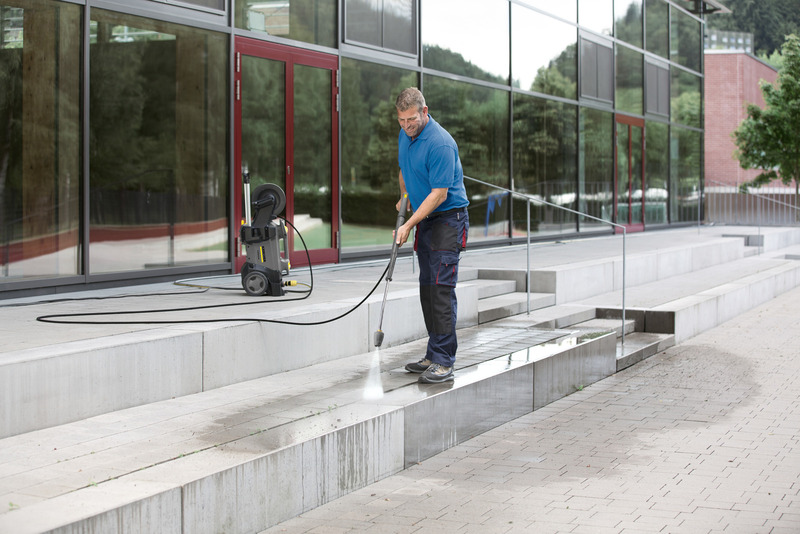 Overall, a comprehensive equipment package for excellent cleaning results, with a high level of convenience and a long service life. Save time and effort: EASY!Force high-pressure gun and EASY!Lock quick-release couplings. Effortless operation at last: the EASY!Force high-pressure gun. EASY!Lock quick-release couplings: durable and robust. And five times faster than screws. Integrated carrying handle on the front of the machine enables easy loading and convenient transport. Push handle can be retracted at the push of a button. Compact construction style. Vertical and horizontal operation possible. The wheels are not on during horizontal operation. As such, the machine offers maximum stability. Separate park and transport position for the spray unit. The automatic pressure relief protects the components and extends the service life of the machine. Large, easy-to-reach water fine filter for protecting the pump against dirt particles in the water. Screw connection (M 18 × 1.5) for storing a Surface Cleaner directly on the machine. Practical nozzle compartments for triple nozzle and rotary nozzle. Rubber strap for fixing the pressure hose.